Do you read every customer review that your business gets? Do you only pay attention to positive ones? If you do, then you’re not paying attention to ALL your customers. Hate it or love it, online customer review has a huge influence on consumers. According to a Local Consumer Review Survey, consumers read an average of 10 online reviews before trusting a local business. Nowadays, people can see online reviews on Google or Facebook. And these reviews continue to dominate the online presence of local businesses. In this case, consumers trust online reviews because they are like personal recommendations from someone you know or group of people. Aside from regular consumers who intentionally look for products and services, we have internet savvy buyers who dig the deepest online reviews to assess what they’re looking for. Also, there is a number of sites where you can find online customer reviews such as TripAdvisor and Google My Business to name a few. On the other hand, 94% of consumers find alternatives when they see negative reviews. So, as a local business owner, it is time for you to take online customer reviews seriously! How do online customer reviews affect my business? People share their experiences about the product or service they purchased online and these can bring great results to your business or the opposite. But what does online customer reviews really do for your business? Let’s talk about the positive output first. Surely, you’ll get noticed for both good and bad reasons. Bad or good publicity is still publicity, right? The more your customers are having a conversation on your review section, the more your business will get a buzz. But of course, if you want to drive sales, all reviews should be positive. It shows that online reviews are crucial to a business today. Positive reviews increase curiosity to potential buyers and this curiosity will eventually lead to a purchase. Tip: Encourage your existing customers to share their reviews online, whether on your Facebook page or your Google My Business listing. Maybe one of the reasons you’re not reading your online reviews at all is the fear of getting bad ones. Well, bad or negative reviews are hard to take. But they can be valuable for your business. 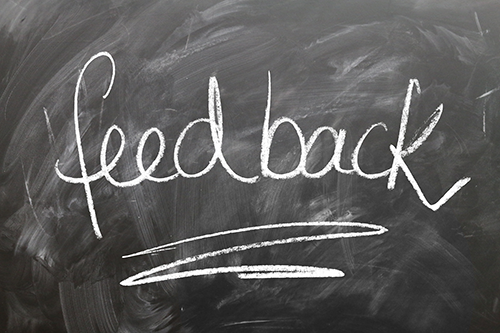 Reading and replying to reviews, both positive and negative, enable you to continue what your business is good at and improve the existing product or operations. It opens up your mind to see what you should improve in your process, your products and services, and your employees as well. What’s the best part of reading the reviews? You get to know your customers better! You’ll know what they want and don’t want so you can set up an aligned path for the growth of your business while understanding the market. Bottom line: Have the courage to acknowledge ALL the online reviews! It is true that building trust within your online community is pretty hard and takes a long time to achieve it. But you can begin with simple steps. Having no review is just as bad having one negative review. A business that has tons of online reviews are more favored than those who have fewer. The more your business is being talked about, the more trustworthy you are perceived by consumers. Conclusively, replying to all good and bad reviews show that you care and appreciate their opinion. Replying to a negative review with a positive tone and genuine appreciation to your customer is all it takes to nullify the bad review. If negative reviews make your customer choose another business, positive reviews can definitely attract more leads and generate sales. A good review influences potential customers to trust you more and make a purchase with confidence. It means the product or service you are offering lives up to its positive reviews. This is one main reason why you should pay attention to online customer reviews of your business. Now that we know how important online reviews are, let’s focus on how to deal with negative online customer reviews. Make it a habit to check your Facebook page or Google My Business Listing consistently for new customer review. If it’s a negative one respond quickly as a fox! This will be a good indication that you take your customers seriously. Writing things like “I understand your dilemma, but we’re very glad to help” increases your credibility. Do not sound like a robot. Tip: Do not copy and paste every response. Personalize it. Keep things in mind that customers know if they’re talking to a robot or a real person. Be consistent on how you interact with them while solving the issue. This includes your messaging tone, the length of your message and even the grammar quality of the context should be consistent all throughout the process. The best practice that I can recommend to you in trying to solve negative issues is taking it offline. Respond to their review publicly and then take the whole conversation privately, whether it’s through an inbox or call. Get their contact details and encourage them that you’ll work together to solve this. If an issue is sorted out and with permission from the buyer, you can share how you handled it on the web. Online customer reviews can make or break a business. But fear not, because it’s part of managing it. How you deal with them is the real challenge. This is a necessary part of taking your business online. If you want a positive online footprint, you need to invest more in generating positive online customer reviews. Reworking your Facebook page and optimizing your Google My Business Listing is a perfect first step for you. If you need help in crafting a good online reputation and improve your digital marketing, why not talk to us at EmergeLocal for a free consultation?